(3) All disposable income must be paid into the plan for at least three years (you may use up to five years in order to meet the second test that you pay at least as much as in a Chapter 7). Generally, payments will be withdrawn directly from your wages and you or your attorney should arrange with the court for these payments to be deducted from your wages. Provisions of the Bankruptcy Act have made Chapter 13 filings more burdensome for filers. Under the old dispensation, Chapter 13 filers enjoyed more protection against legal actions by litigants intending to recover funds or to impose new costs. Filers were protected against evictions; under the Act they no longer are. They may lose their driver’s licenses. 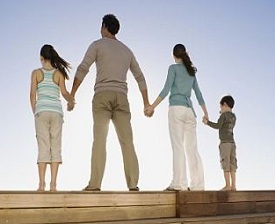 They must continue to respond to divorce and child-support actions. The Act has also moved family members with financial claims (e.g., for child support, alimony) to the first rank of recipients, ahead of secured creditors. Like Chapter 7 filers, Chapter 13 filers are also required to participate in mandatory financial management education. Any debts not provided for in a wage-earner plan. WHEN TO USE CHAPTER 13? Many debtors choose not to file for Chapter 13 because it requires repayment of at least a portion of their debts (unlike Chapter 7, which wipes out many debts entirely). 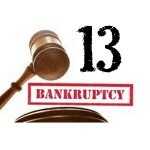 In some situations, however, Chapter 13 is the better bankruptcy option. And certain debtors don’t get to choose: Not everyone is eligible for Chapter 7. You cannot file for Chapter 7. If you have received a Chapter 7 bankruptcy discharge within the last eight years, or a Chapter 13 discharge within the last six years, you may not file for Chapter 7. In addition, you won’t be allowed to file for Chapter 7 if you cannot meet the “means test” imposed by the 2005 revisions to the bankruptcy law. If you have the means to repay a certain amount of your debt through a Chapter 13 repayment plan, you flunk the test and are ineligible for Chapter 7. You have a tax obligation, student loan, or other debt that cannot be discharged in Chapter 7. You can include these debts in your Chapter 13 plan and pay them off over time. You have a sincere desire to repay your debts, but you need the protection of the bankruptcy court to do so. You have nonexempt property that you want to keep.